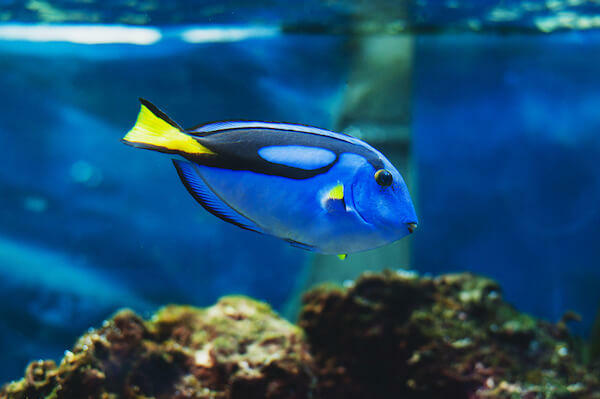 | Home | Blog | How Much Work Is It to Own a Saltwater Fish Tank? How Much Work Is It to Own a Saltwater Fish Tank? When you were a kid, your family probably had a bowl with a couple goldfish swimming around. If you were really lucky, you had a freshwater aquarium containing such popular fish as guppies, tetras or even a gorgeous betta. 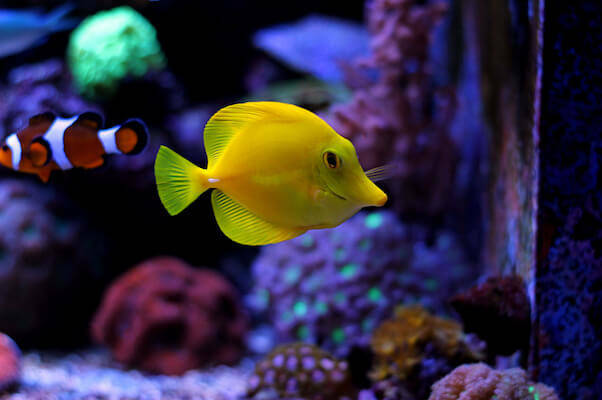 Generally, the initial cost to set up a saltwater tank is higher than for a freshwater aquarium. First, you must decide what kind of tank you need. The three main types of saltwater tanks, from lowest-priced to highest, are: (1) fish only, (2) fish only with live rock and (3) reef. When you compare the cost to set up freshwater and saltwater tanks, the actual tank itself runs about the same, provided both hold an equal number of gallons. In order to maintain a healthy environment for your saltwater animals and plants, you’ll need a tank that holds a minimum of 50 gallons. The cost of aquarium lights is also about the same. A quarantine tank for new fish likewise costs about the same for fresh and saltwater aquariums. The cost of the substrate on the bottom of tank will vary, as you need gravel for a freshwater tank and sand for the saltwater aquarium. You can count on sand costing about 2 1/2 times more than gravel. The basic test kit for a freshwater tank tests pH, ammonia, nitrites and nitrates. In addition to these tests, a saltwater test kit should include tests for calcium and alkalinity. Thus, you can expect a saltwater test kit to cost around $20 more than that for freshwater. The most expensive and time-consuming tank setup is the reef tank. Reef tanks require a more complicated lighting system, as corals need a food supply that highly depends on photosynthesis. The reef tank lighting might actually turn out to cost 5 times more than that for freshwater or regular saltwater tanks. 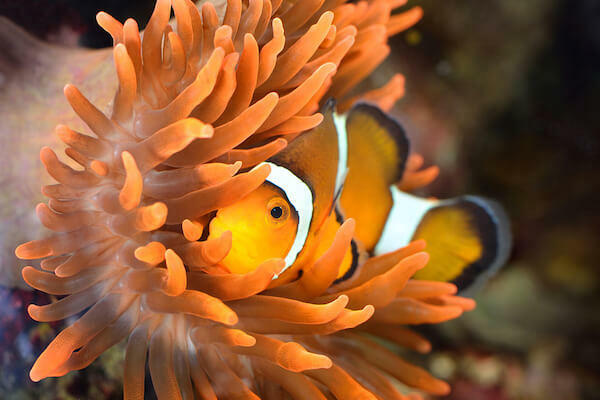 In addition, if your tank includes anemones and certain types of corals, you might need to invest in a reverse osmosis water filter system. Considering all the extras needed for a reef tank, you can expect the initial cost of setup to run around twice that of a regular saltwater tank. As a rule, saltwater fish are more expensive than freshwater species. Such saltwater invertebrates as starfish, shrimp, clams, snails, crabs and urchins tend to be pricey, especially if you’re not located near the ocean and need to pay high shipping and handling costs to have them delivered to your door. To be sure, maintaining a saltwater tank is more time consuming than taking care of a freshwater aquarium. All aquariums require periodic partial water changing. If you have a freshwater tank, you can usually get by with removing around 10 percent of the water by using an aquarium vacuum and just refilling with filtered or chlorine-free tap water. For a saltwater tank, however, you need to separately mix the salt and water in another container, such as a bucket or large tank, several days in advance of changing. Although not essential, a protein skimmer can be extremely beneficial in a saltwater tank system. A step above a mechanical filter, a protein skimmer works on the same principle as ocean waves that crash and deposit dirty particles in sea foam on the shore. A collection cup on the skimmer removes harmful substrates contained in bubbles. Not essential but highly recommended for a saltwater tank is live rock. Broken off as pieces of a coral reef, live rock is so named because living organisms, such as algae, bacteria, marine worms and small crustaceans, make their homes on marine coral reef structures. Live rock serves as an important biological filter in the tank. This type of filtration allows good bacteria to grow and convert ammonia that results from uneaten food and fish waste first into nitrites and then into nitrates. Because of its porous nature, live rock provides living and hiding spaces for saltwater animals. Some creatures even use it for food. Live rock also contributes to the aesthetics of a saltwater aquarium, as it adds to the natural appearance of the tank and can be a home for beautifully-colored algae. Most freshwater fish available for sale have been raised on fish farms for several generations and are used to eating man-made food or fish flakes. Because most species of saltwater fish are caught in the wild, they might need to be slowly acclimated to an aquarium diet over the course of several weeks or even months. ← Are Hedgehogs Related to Porcupines? 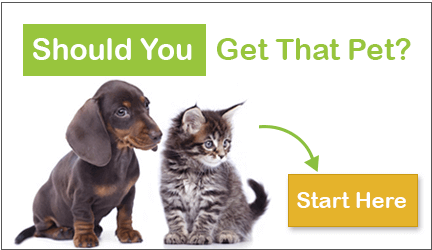 Is Sharing Your Bed with Your Pet Right for You? Why Should You Have Cats At Home? Here Are Purrrrfect Reasons!